Yesterday I met with two friends who had been to Canada this summer. They told me about their road trip, what they liked and what they wouldn't recommend. I think I am starting to see our own trip more clearly. We have 15 nights and I will have to drive everything myself. I don't want to drive more than 150 km per day on average, preferably less and the biggest distance for one day shouldn't be much more than 250 km. I would love to see both the Pacific and the Rockies, but I think that's just too ambitious. We do have great mountains in Switzerland and while they are probably much smaller and much more populated, that seems to be the part that I can live without. So I want to concentrate on the sea. We will start in Vancouver, but I'd like to go to Vancouver Island soon after our arrival. At least half of the time I would like to spend on Vancouver Island. I am not sure yet if it would be better to stay in the same spot (Tofino or Ucluelet) and drive around from that starting point or to change location every two to four nights. I'd also like to see the American islands (maybe San Juan Island) and go back to Vancouver via the National parks along the American-Canadian border. I am pretty sure our passports are still good to go into the USA without problems, I think, the ESTA is valid for two years. At the end of our trip, I'd love to spend maybe two nights in Vancouver before going home again. It sounds like an excellent plan! And I admire you that you already have booked holidays for next year! I love knowing that there are holidays in the future, I love planning for them. And also there were only 4 seats in that plane left, I think it will be booked out very quickly because we have to travel in the busiest time of the year. I am not saying you are doing it wrong, I just wished I'd do the same! 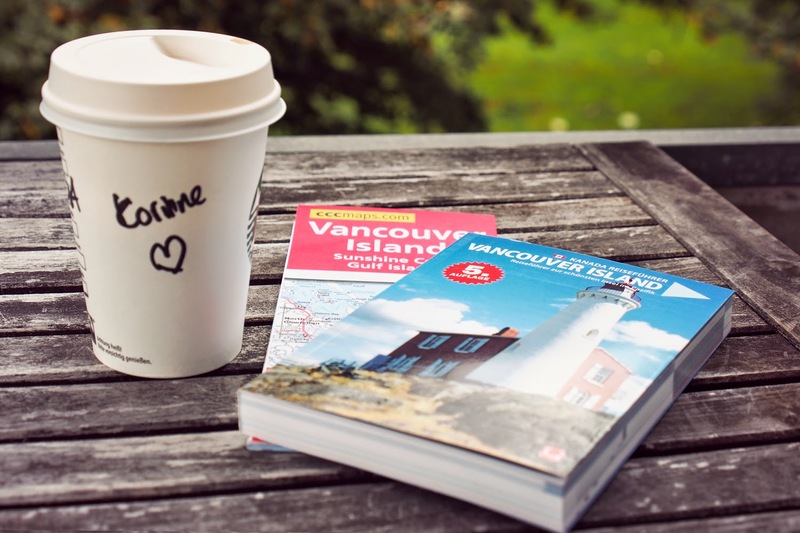 We went to Vancouver Island for our honeymoon, and stayed in Victoria the whole time. I loved it so much, and have wanted to go back ever since to explore more. Looking forward to hearing all about your trip! It's still many months away, but I am already excited about it and I will keep writing about it here. I love planning trips and I'm lucky that my husband loves to do the driving so I can knit my little heart out. There is nothing like riding and staring outside the window taking in the scenery. I hope you have fun, planning and doing the trip!